The Kinesio Taping Method is a taping technique applied over muscles to reduce pain and inflammation, relax overused muscles, and to facilitate muscles in movement. 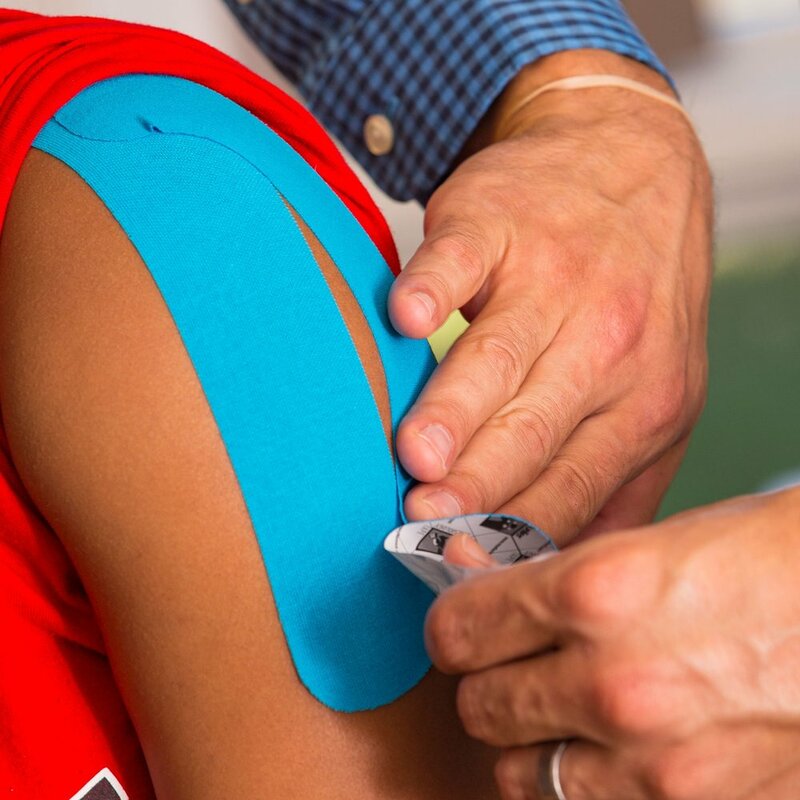 Because Kinesio Tape is a non-restrictive, highly elastic type of tape, it allows for full range of motion and function, unlike traditional sports tape. It provides stabilization and support during not only sporting events, but during daily activity also. Kinesio Tape is a multifaceted technique that can be used to treat any injury head to toe! Kinesio Tape is a “light modality”. In rehabilitative applications it works continuously and can provide an additional 2-3 day relief after therapy. Kinesio Tape does not mask symptoms, but instead promotes healing in a variety of ways. Because your therapist can not provide treatment and a hands on approach to you at all times, Kinesio Taping is like having healing hands to put on the injured area 24-7.